The Euro Ceramic range has been specially designed to match up an excellent performance with an attractive price. 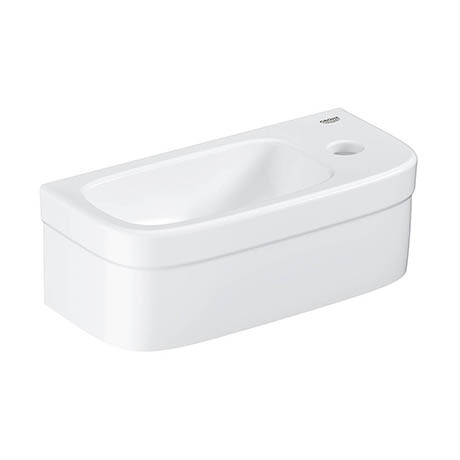 This Euro Ceramic 370mm wall hung basin is a modern classic with good looks and delicate lines. It features a right hand tap deck with single tap hole. Manufactured from high grade vitreous china and finished in Alpine White, it's durable surface will look good for years to come. Dimensions: (H)120 x (W)370 x (D)180mm approx.